My day started off with a text from my husband saying he would have to work 16 hours. “Great, the one day I need you to help out!” Yep, a great reaction from a “Proverbs 31” wife, right? Okay, so my littlest had a team gymnastics practice (35 min. out-of-town), I had a church council meeting, and my eldest had a swim meet, and I was on my own. Hmmmmm. Where’s was my superwoman cape ? 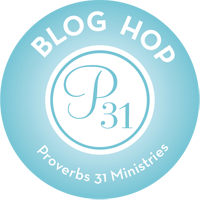 What would a Proverbs 31 wife and mother done? Well, probably not let herself get in the predicament in the first place. We pay a lot of money for Molly to do gymnastics and she has a big meet coming up. I couldn’t rationalize spending more money on private lessons, if she wasn’t even going to the practices we already pay for. So, Molly won out in the end. After school (Oh, wait! Did I mention I had to sub for Kindergarten for the first time-scared out of my mind-but, thankfully, they were really good) instead of writing my blog, I typed up a report for the church meeting and took it to the church on our way to gymnastics (first church meeting i have missed). I would love to say that I found a way to see part of my daughter’s swim meet, but I didn’t, which made me feel like the worst mom ever seeing as I have only made it to one meet this year (my husband has been to a few). I heard the term bad mom floating around in my head. Oh, did I mention she forgot to take dinner with her? So she had nothing to eat from lunch time to 8:30 P.M.? Bad mom. Molly and I ate oatmeal and toast. Bad mom. I don’t even know what my middle child ate (another teenager). Bad mom. Do you ever get this title stuck in your head? I used to believe Satan’s whispers, but when I found the actual truth behind Proverbs 31 I started using it as a guideline to make me a better wife and mom. 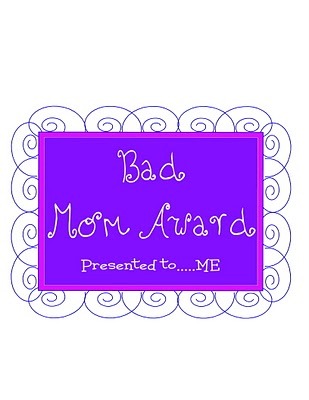 In order to defeat Satan’s lies (bad mom), I had to be completely honest with myself and realize that I wasn’t always the best wife and mom I could be. This wasn’t a one time thing. I still have to be completely honest and re-evaluate where I am often. If my home life seems to be going a little crazy, I have to take a look at where I am on the Proverbs 31 scale. Sometimes it is me, and some changes need to be made. Sometimes it is just life, and we have to just manage the best we can. Yesterday was just one of those “life moments” where circumstances are just out of our control. While I wasn’t happy that I had to miss the church meeting or Emily’s swim meet, I still had peace because I knew where I stood with God. Proverbs 31: 17-18 (NLT)-She is energetic and strong, a hard worker. She makes sure her dealings are profitable; her lamp burns late into the night. Every night as I lay my head down on my pillow, if I can feel good that I worked the majority of the day doing things for my family, then I am a happy wife and mom. But deep down, I know when I have missed the mark, and conviction sets in my heart. Let me just say we have to make sure that conviction doesn’t turn into condemnation. Conviction comes from God and causes us to want to change because our love for Him. It makes me feel bad when I am lazy or when I talk badly about my husband. Condemnation comes straight from Satan, and includes words like “bad mom.” It makes us feel bad or guilty, but it does not motivate us to change and leads us further from Christ. I am not saying I am the perfect wife or mother. No, I am far from the Proverbs 31 woman. My kids rarely get a hot breakfast (and that is probably when my husband cooks it or we it eat it for super), I miss some of their activities, I sometimes yell (still working on that), and the list of my misses could go on and on. However, when I lay down my head tonight, I will ask myself, “did I do all that I could today?” If the answer is “yes,” then I smile knowing I am one step closer to being the wife and mother I was made to be. If the answer is “no,” then I know there is work to be done and look at the areas where I struggled. Even with days like yesterday I can still be a good mom.